This sounds exactly like the behavior of my car just before they changed the OBC. I suggest you check for error codes using the OBD. I had the Error Code - P1CF5. 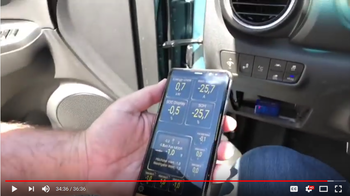 Here's a screenshot of someone trying the I oniq Electric Torque codes in the new Hyundai K ona Electric. Perhaps 'Energy Draw' is correct. The rest all seem to be wrong. From this Youtube video - at 34 mins and 30 seconds. The TPMS do no show any values at all. Is there something I should check? I used the data from GitHUB to create the csv files and import them into Torque. Are there other settings that need to be altered? Have you read the previous page of this thread! Are you using the 2018 codes. Please share a screenshot if so. You have to drive 400m for the TPMS sensors to start. You can just clone the repository and get the files you need all at once. Either that, or just open each file you want in the GitHub UI as RAW, and save the page. Chrome/Firefox automatically detects the file type and saves them as CSV files with the proper extension. Not sure about other browsers. 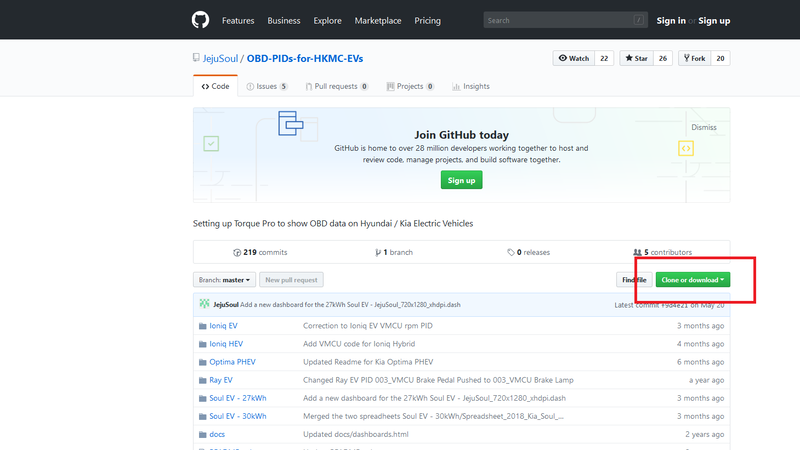 GitHub is the recommended way to get the latest files. There are still some old files on the first post of this thread which I'm not updating. These have comments which may be useful if you're a developer. 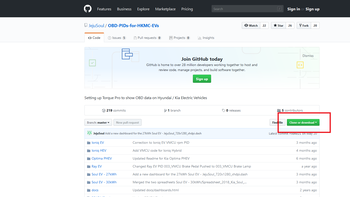 To download all the files you need in one go from GitHub click the download button on the main page. You will get the data for all models of cars, but this is the best way because there is no download button on the individual car's page. Just extract the folder with the car you have and then delete the zip file. In Windows I recommend setting the default for csv files to be a decent text editor. Use 'Open With' to see the file in Excel. 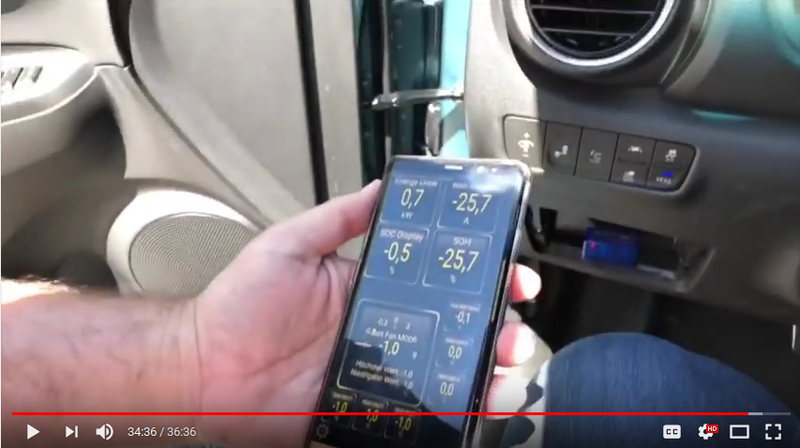 The SOH this shows is this based on long term logging or if you plug in and see results will it give you a accurate SOH if you havent used torque in months?